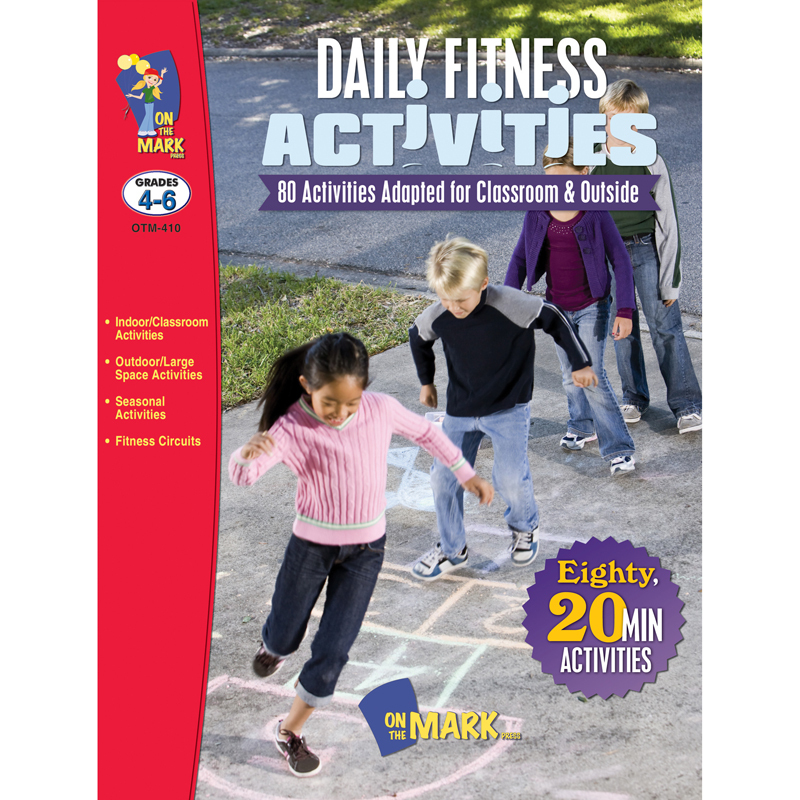 80 - 20 Minute Activities Adapted for Classroom & Outside. 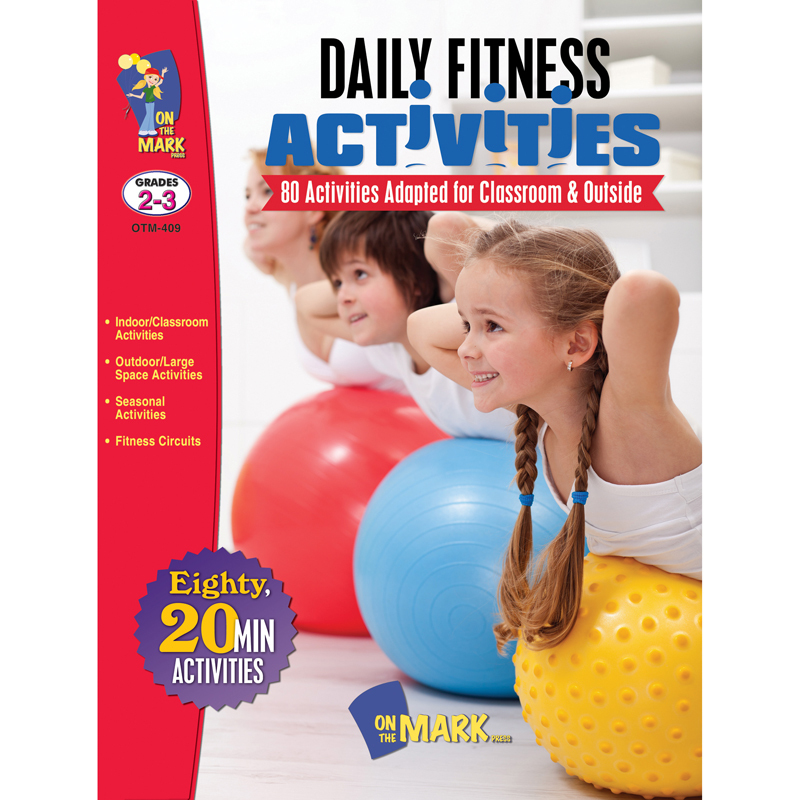 This book was written to help engage teachers and students in the idea of being fit for life through play....to not be afraid to have fun while getting fit. We wanted teachers to feel confident in their abilities to introduce physical fitness into their classrooms through the exciting and stimulating adventure of games. 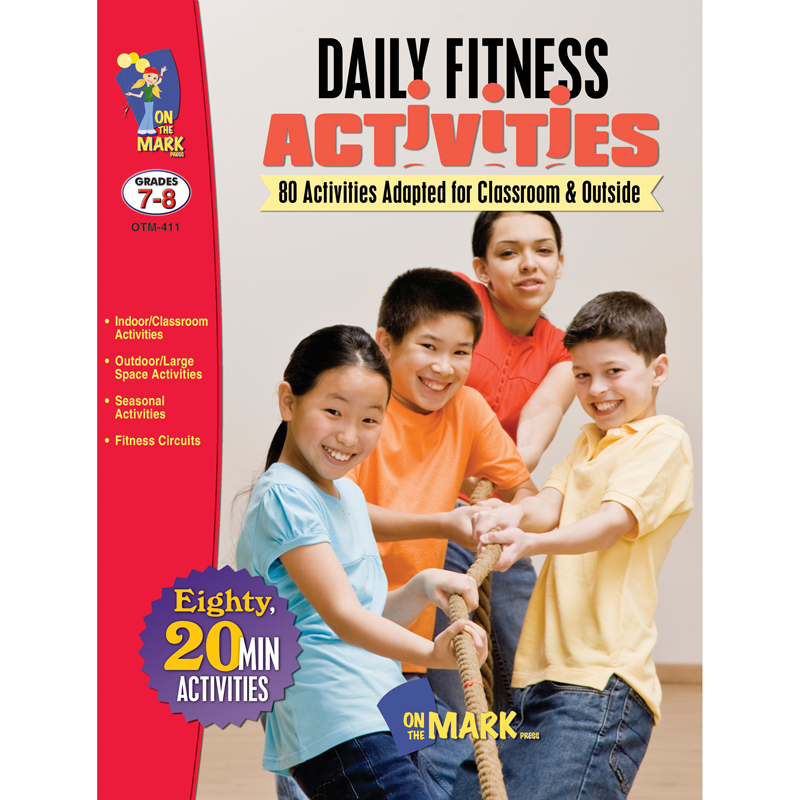 In creating these activities, we took into consideration many different aspects that teachers have to think about when trying to incorporate time for physical fitness. Many of these activities can be done directly in the classroom space without the need to re-create the space for the activity. We also believe that it is important for children to be exposed to the outdoor environment as much as possible. We have constructed activities that make use of outdoor spaces where children can run and enjoy nature. We have tried to create activities that are easy for all teachers to do with a minimum of equipment necessary. We believe that the out of door activities can make the different seasons more enjoyable.....perhaps even to stimulate students to engage in other outdoor activities outside of school fitness time, and this is perhaps the most important part of the fitness initiative....to engage children in daily physical activity and generate the spark that follows these activities into the home to become part of family growth in all aspects. 112 pages. 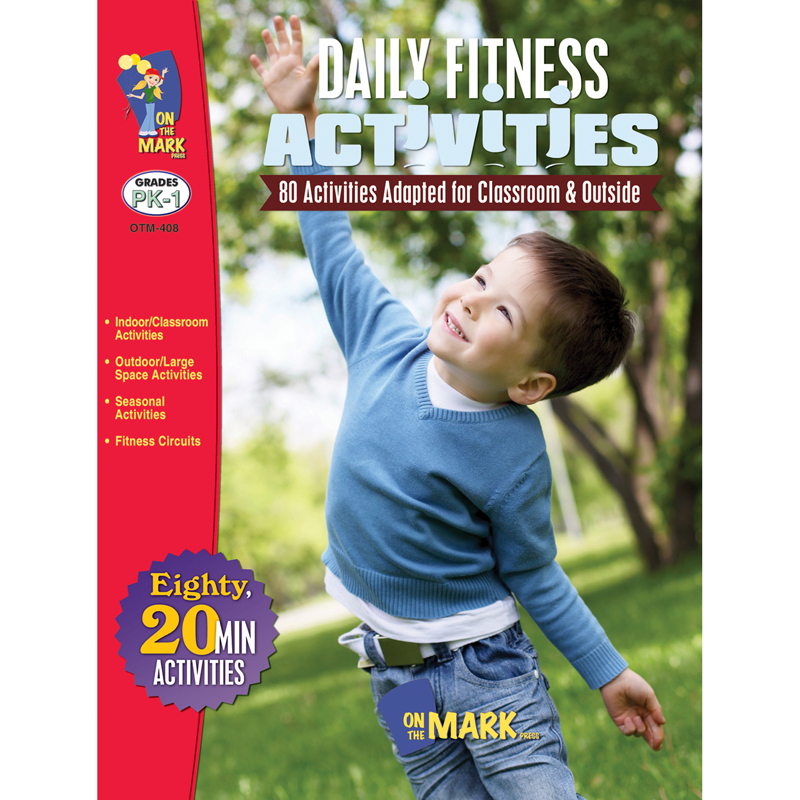 The Daily Fitness Activities Gr 2-3 can be found in our Physical Fitness product category within the Active Play. 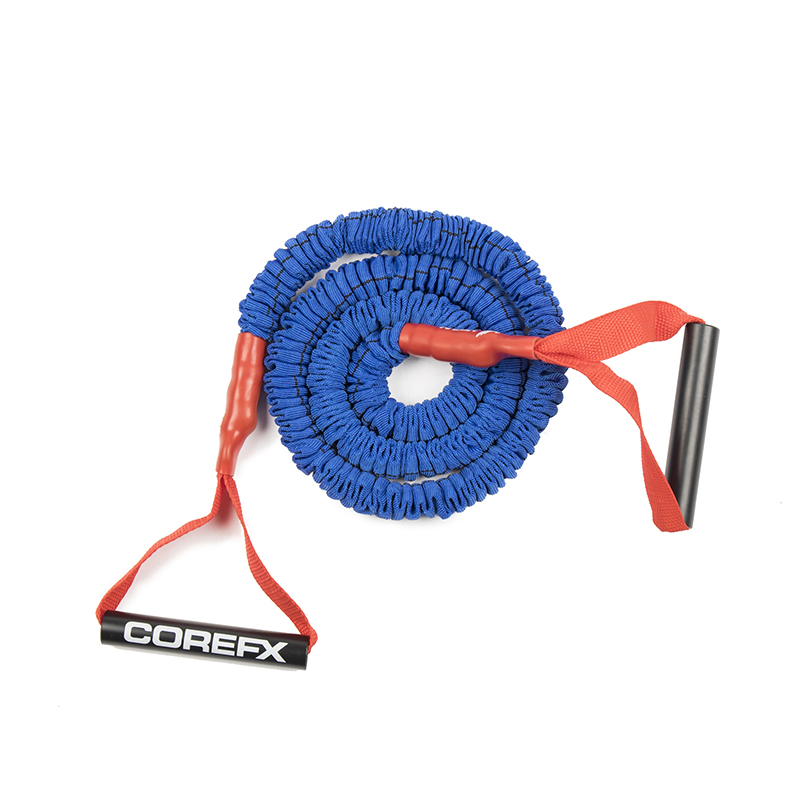 COREFX Resistance bands feature a blue polypropylene covering of the core resistance band. The best resistance tubing on the market, offering safety, durability and function.